I never imagined I’d end up in Peru this way. I never thought that I’d book a last-minute flight and travel alone to hike 75 kilometers to Machu Picchu. But I suppose death has an interesting way of bringing new meaning to life. A couple of weeks before I boarded a plane to Cusco last year, my cat suddenly died. He was only seven years old. Out of all my relationships, I never imagined that my greatest love would be with a tuxedo cat named Antonio. Tony was the family pet and a beloved family member. It's amazing how much you can love an animal. It can be intimidating to book a flight without knowing what you'll be doing, but buying the ticket solidifies your plans. I booked a return ticket with Spirit Air from Ft. Lauderdale to Lima for $320. I got lucky. Then, I booked a local flight to Cusco with LCPeru for $109. You can probably find local flights cheaper if you book in advance. 25L backpack for the trek that will hold your things for the day. Cameras: iPhone, a small Sony digital camera, and my Canon Rebel T2i DSLR. Snacks: Vega One bars, cough drops, gum, and some nuts. Snacks were provided on the trek though and I found other items in Cusco. If you forget anything, you can rent or buy all of it in Cusco. What I Wish I Packed: Moleskin. Despite wearing broken in hiking boots, I got terrible blisters on my feet and moleskin could have saved me hours of pain. Lima: Most flights from the USA have a long layover in Lima if you're going on to Cusco. Many tourists spend the night in the airport, but I wanted to get some rest since I had 8 hours until my next flight. I booked an AirBnB room at Mama's Hostel just outside of the airport. I admit, I was a bit nervous to leave the airport with some taxi driver who spoke no English. I arranged the taxi with the hostel and everything was fine. The owner was a sweet little Peruvian lady who spoke no English. My Spanish was incredibly rusty, but I managed to speak to her through hand gestures, constant nodding, and broken Spanish. It was under $20 for the night, which included breakfast. She also arranged transport back to the airport. 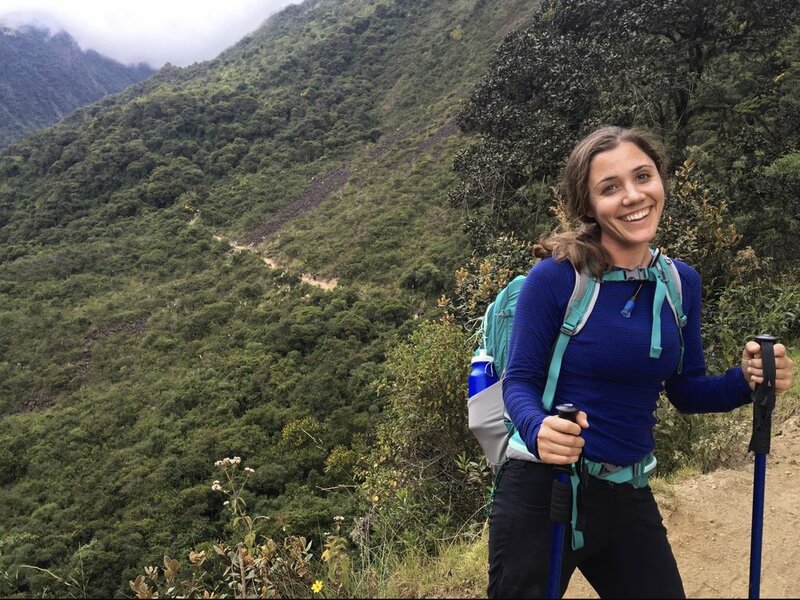 Cusco: I love to connect with yoga communities when I travel, so I stayed at the Healing House Cusco in the art district of San Blas in a single room with shared bathroom. Breakfast wasn't included, but yoga classes were (if you stay more than two nights). There are also farmer's markets within walking distance. This was a perfect place to stay: no nonsense, great location, and wonderful people. I felt completely at home and I loved the neighborhood. San Blas has a ton of cafés and vegan restaurants (Green Point was my favorite). Cusco has a tour operator on every street corner offering trips to Machu Picchu (pronounced Ma-chu Pick-chu). I researched tour companies before I left, but I didn't book anything until I arrived. There are actually many trails you can book. 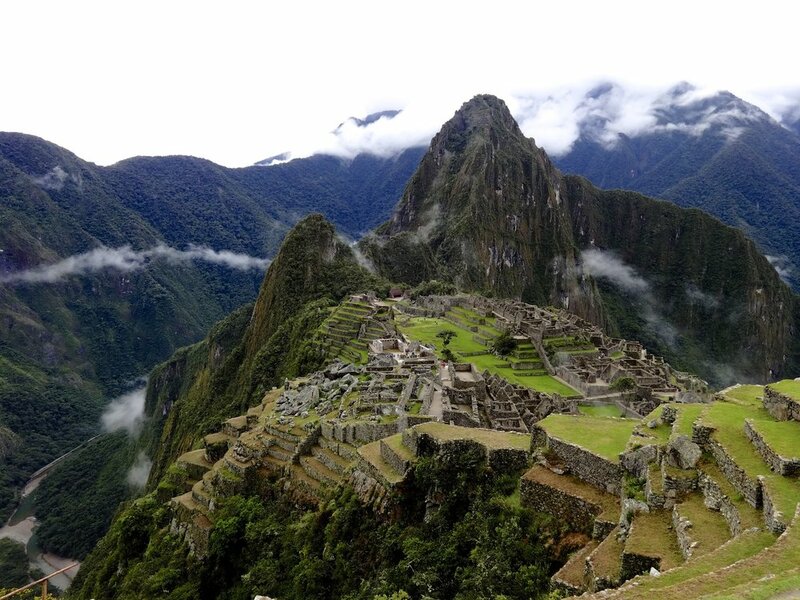 The Inca trail is the most popular and also the most expensive. That can take months to half a year to book in advance. Since I didn't plan, I found the Salkantay Trek, which looked equally as impressive. 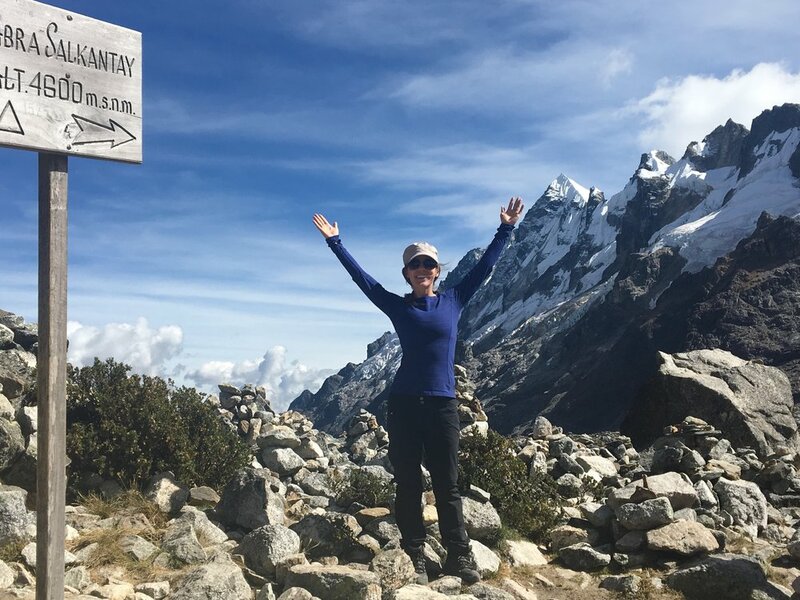 This trek was 5 days/4 nights and the highlight of it was passing through Salkantay (savage) Mountain. I visited different tour operators in the main square and found Marvelous Peru based on a recommendation from a tour I did the day before. The price ($250 in 2016) included the trek (accommodation and vegan food), sleeping bag, transport, and all entrance fees. Starting at 5am, the tour company picked me up and we headed to the starting point of the trek. The first impressive site was Humantay lake, a pristine lake at the base of the mountain. It was a struggle to hike up to it because of the altitude, but one of the most beautiful places I've seen. Another early morning, this was the longest and most difficult day. I've never really hiked that much before, but it was an incredible feeling to make it to 4600 meters above sea level without dying. Salktanay means "savage" in the Quechua language. I can see why. What's so interesting about this hike is the diverse landscape each day presents. One day I crossed snow covered mountains and the next I was hiking through dense green forests. I was thankful I paid for walking poles because the hike down the mountain was hard on my knees. They cost around $30 and you can rent them in Cusco. This was the day to also bring out the insect repellant. 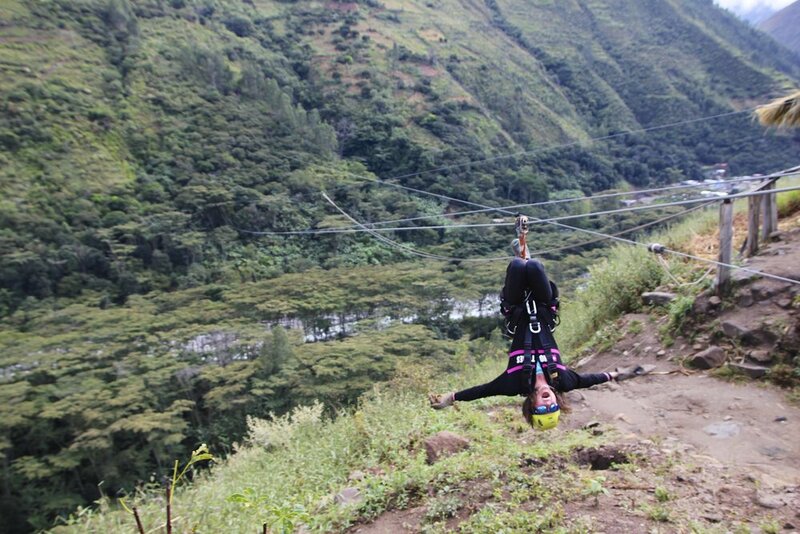 I've zip lined before in Costa Rica and it's just not for me. So, I opted out of this activity and watched the others fly by. After, we made it to the base town of Aguas Calientes. It was the first time I had a real shower in four days. Tip: Make sure you have a nice clean pair of clothes for Machu Picchu. You don't want to spend the last day in smelly clothing. I spent the final day of the trek visiting Machu Picchu. Because my feet were so sore from the hike, I waited in line by 6am, along with hundreds of other people, to take a bus up to Machu Picchu instead of hiking up the stairs. The cost was $24 return trip, and oh so worth it. Unfortunately, it rained most of the day until 4pm. It was the only day that week that it rained, so it's hit or miss. Luckily, the sky cleared around 4pm and I was able to enjoy the views. I'm so glad I bought a rain poncho. It saved my life on the trek. The rain finally stopped and I sat on the mountain looking at these ancient Inca ruins. I took my phone out to look at a picture of my cat Tony. I had always wanted to hike to Machu Picchu. Before my cat, Tony’s death, I imagined I would go when I had more money, more stability, or a travel partner. I created these rules in my mind thinking I’d have time for it later when I’d be safer and more secure. I realized though that the only time is now, not yesterday not tomorrow. Now. There may not be another day or another year. Whether it is a pet, family, friend, you never know when it'll be the last time you see them. The same applies to everything in life. All is transient and the only one thing for certain is death. When you understand death, you understand how to live. I realized you can live today as day one or you can live it one day. It's your choice. It took a small black and white cat to remind me that.